Yet another fund raising activity for our community Russell Lions Club members were selling 50/50 tickets at the Russell Fair. 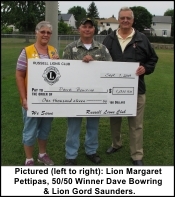 The Lions raised $2,023.The lucky winner was Dave Bowring of Old Town West. 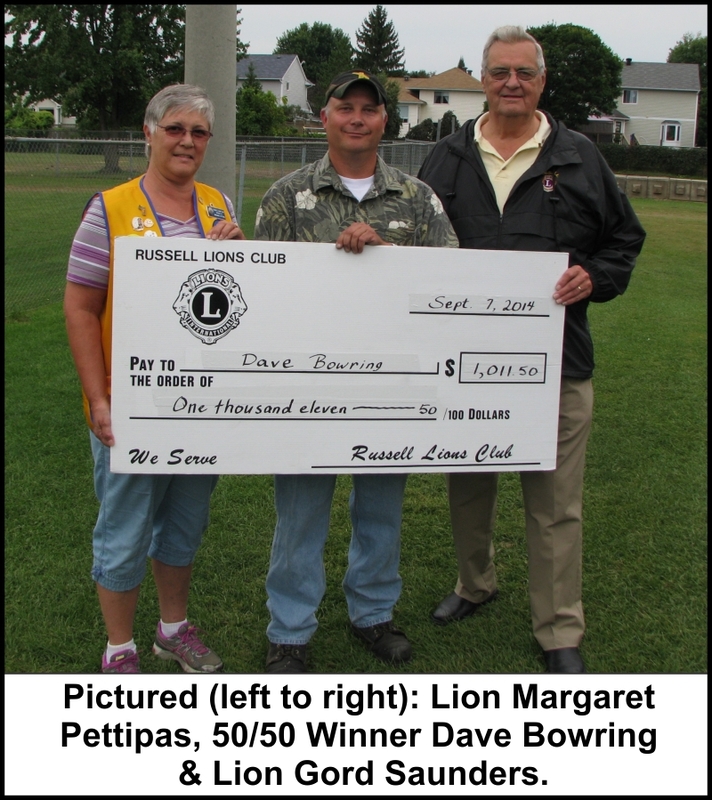 Pictured here are: Mr. Bowring, (centre) is presented with a cheque for $1,011.50 by Lions Margaret Pettipas and Gord Saunders. The Lions thank everyone who supported us in this fundraising event. Russell Lions. We Serve. We Put Russell First.